India has always welcomed all religions, cultures and traditions, the vice president said, adding that “in its diversity lies India’s strength”. The entire world community should come together to fight terrorism, Vice President M Venkaiah Naidu said here Tuesday. He was speaking after inaugurating a newly-built dome complex housing a prayer hall at MIT World Peace University here. He also inaugurated ‘World Parliament of Science, Religion and Philosophy’ organised by the varsity. “Violence and terror are the enemies of mankind. 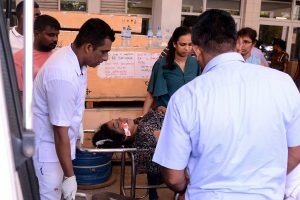 With violence one can not achieve one’s objective…some people think bullet is more important than ballot but ballot can change the fate of anybody,” he said. A bullet can kill a person, but the same bullet can also kill the one who fired it, he said. “Today I am saying it in Pune and you will understand (its import) after I leave here,” Naidu said, adding that those who encourage extremism are harmful to society. 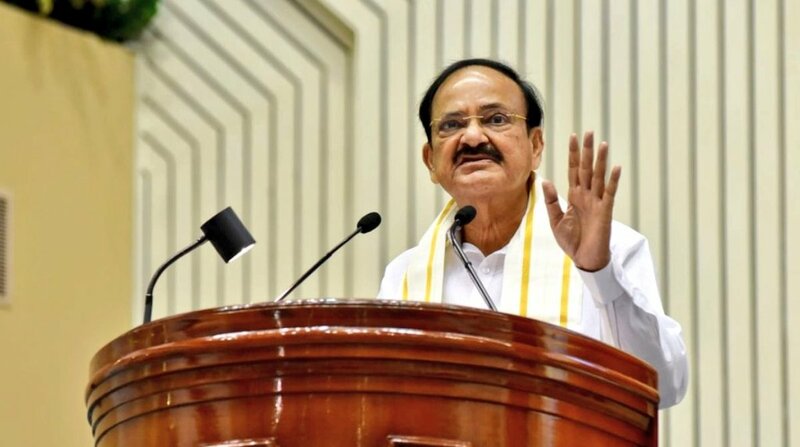 In the past, only India spoke out against terrorism and countries in the West were not bothered about the issue, but after some major terrorist attacks, the US, Europe, Russia and other countries began to feel concerned, Naidu said. “The entire world community should come together to fight terrorism,” he said. adding that terrorism and violence have no class or religion. Referring to the new dome complex, Naidu said the world is experiencing “chaos, confusion, bloodshed and discrimination”, and the solution to this chaos lies within the philosophy behind this dome where “ideals of all the religions” reside together. “All religions preach love. This one understanding is sufficient to bring about world peace and brotherhood,” he said. “This mutual respect and peaceful coexistence is the hallmark of Indian ethos and I pray that this dome, which symbolises harmony and peace is able to inspire a sense of unity and humanity in every single person who enters its premises,” said Naidu. He also noted that this “one of the largest domes in the world” is being inaugurated on Mahatma Gandhi’s birth anniversary. “The city of Pune has a rich history and is considered the cultural capital of Maharashtra. This dome is a monumental addition to the thoughts propagated by great saints of Maharashtra,” said the vice president. The dome has a diameter of 160 feet and rests on 24 pillars. It houses a library and a prayer hall along with 54 bronze statues of scholars, saints, scientists and philosophers from the past. Maharashtra Chief Minister Devendra Fadnavis was also present at the event.